Why don’t all Boy Scouts carry and use fixed blade knives? 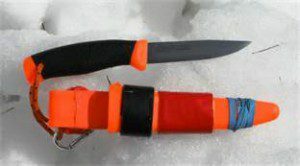 Some scout troops and camps have a blanket ban of sheath knives. I think that’s a bad idea and here’s why. I get it when parents are concerned about their boys handling sharp objects that could cause great harm. And it makes sense that knives, axes and fire should be handled with extreme care. But one of things we do as scouters is teach young men to act safely in the outdoors. That means working with tools that could be dangerous in untrained hands. But I don’t get how some camp directors ban sheath knives from camps, or that some scoutmasters won’t let the boys carry any knife but a folder. “Q. 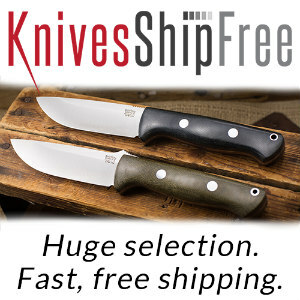 What is the official BSA regulation on carrying sheath knives? No scout can carry any knife until they earn a Totin’ Chip, which means they have had several hours of training and hands-on experience using knives, saws and axes. Each scout has to have that chip on them at camp if they’re carrying a knife. If the scout is seen acting in an unsafe manner with his knife, he is warned and a corner of the chip will be cut off. When all four corners are gone, the scout has to take the Totin’ Chip class again before being allowed to carry a knife. Since knife safety training is a requirement, then, every scout with a knife has been trained and we assume he knows how to safely use any knife. 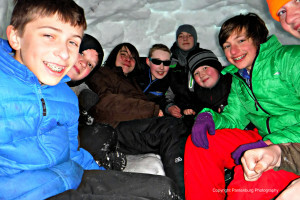 These Boy Scouts crowded into an igloo during a winter campout. They earned bragging rights. Learn knife safety: So you’re going to require a kid to learn knife safety, then tell him he can’t use a sheath knife safely? Hmmm…what does that do for the credibility of the Totin’ Chip training? 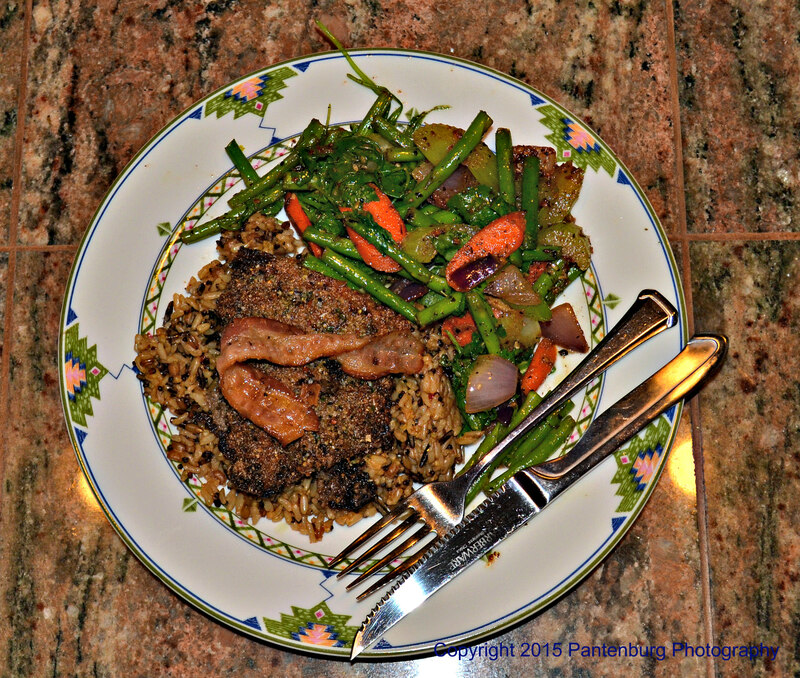 Cooking Clean: To earn the (Eagle required) cooking merit badge, scouts have to prepare food outdoors. If they have to use a folding knife for some of the food preparation, inevitably some of the food will get in the blade channel. There may not be time or enough water to effectively clean the knife effectively. Next step: food poisoning. Fixed blades are cleaner. Cleaning fish: The Fishing merit badge requires a scout catch a fish, clean it and then cook it. Sure, he can use a folder. But the same concerns about cleanliness in the blade channel should be there. Also, it just doesn’t do the job as well. Dangerous – A folder handle is typically smaller than a rigid blade knife. Some fish scales and slime on the pocketknife handle may create a slippery and dangerous situation. Pocket Knives Fold on Fingers: An informal poll among other scoutmasters and parent volunteers in the district pointed this out: The most common cause of cuts on scout outings is when a blade folds on a finger. The scouts require a lock blade on a folder, but that is no guarantee of safety, especially with kids who have beginner knife handling skills. Unless you want to invest a lot of money in a folder, you may end up with a sketchy lock. The day was cold, but these Troop 18 scouts dressed correctly and stayed warm. Several years ago, a scout at one of the Fremont District camps had to make an emergency room visit after the lock on his folder failed. It cut his fingers severely. And what about those flipper or gravity assist folders? IMHO those are more dangerous. Inevitably, despite warnings, scouts will flip their knives or get into a fast draw competition to show off. They’re young boys and playing with their new knives is a rite of passage. Hell, I still play with my new knives. Enough said. Potential problems are averted with a rigid blade knife. Cost: Scouting is expensive, and there is always the temptation to scrimp on things when you can. A well-meaning parent or grandparents may buy a cheap folding knife, and think that because it has a lock blade, it is safe. In reality, a cheap folder can be one of the most dangerous knives for a kid. On some folders, the hinge may be the most expensive part of the knife. Break that, and you have two pieces and a disabled survival tool. If you’re lucky nobody got hurt. Better handle: Rigid blade knives have more ergonomic handles than most folders. A thin profile folder, designed to be carried in a pocket, may be harder to grasp and more uncomfortable to use. Scouts of all sizes in Troop 18 in Bend, Oregon, have used dozens of full-sized Mora knives for more than a decade with no problems. That’s our preferred blade. Carving: The wood carving merit badge requires a lot of whittling and carving, and that means knife handling. The steel in that cheap folder’s blade probably won’t hold an edge very long, making it dull quickly. If the blade has a serrated edge, it will be really difficult to use. A dull knife is dangerous because it will slip while cutting. In 2016, Troop 18 bought 50 Mora 840 Companions for the scouts. 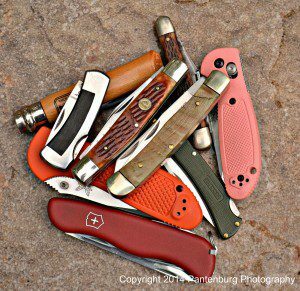 Cost: Several years ago, after the aforementioned scout cut his fingers at camp, the late Dr. Jim Grenfell and I set out to find the safest, most efficient knife for scouts use. Jim, incidentally, was a UCLA dentistry instructor who took up blacksmithing and knife making upon retirement. Summary: Long story short: After a lot of testing and research, we choose the Mora 840 Companion as the best beginner knife for scouts. 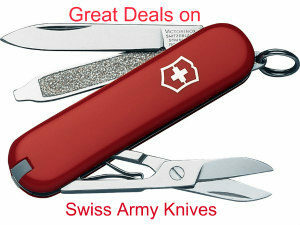 It offers low price, great blade steel, and ergonomic handle. 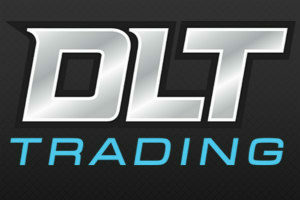 We get a big discount because we buy in bulk. 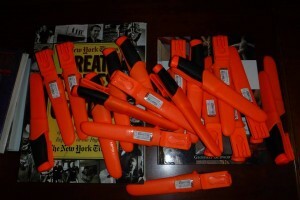 The troop bought 40 a few years back and sold them to the scouts for $8 each. This year, the troop got another 50, at a cost of $10 each to the scouts. Get a scout an inexpensive Mora for his first knife. The Mora is cheap, reliable and safe. The troop has figured out a way to modify the sheaths so they’re even safer. One of our former scoutmasters is a very successful big game hunter. 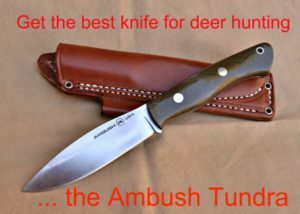 He could easily afford a better knife, but he has used his Mora on deer, elk, moose and hogs because it is so effective. ALL knives are subject to camp director/scoutmaster approval before being allowed on the premises. All knife rules and requirements should be published well before camp begins. It goes without saying that no applicable federal, state or local laws will be violated. All sheath knives must have a sturdy, safe and secure sheath. All sheaths for knives must be worn on the side or behind the hip. 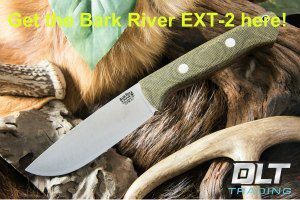 Establish a maximum blade length: A four to five inch blade is all anyone needs for 99 percent of all camp tasks. It is a good compromise of compact carry and efficiency. Buy Moras for the scouts in your troop, then modify the sheaths for safer carry. Get all of them the same color and make it part of the uniform. When it’s all said and done, scouting has never had more challenges. According to BSA statistics, enrollment continues to decline. Out of every 100 kids who start scouts, 30 will drop out the first year. One very visible thing that sets the Boy Scouts apart from other youth programs is the emphasis on outdoor skills. We owe it to the kids to make their scouting program exciting, dynamic and fun. Teach them to use fire and tools safely. Teach them outdoor ethics and teamwork. Teach them to grow up to become good men. Otherwise, scouting becomes yet another after school program that is no different from many others. Sean Jacox honored me with an Eagle Mentor Pin when he achieved the highest rank in scouting. Leon Pantenburg has been a scout volunteer for almost 20 years, and has been an active assistant scoutmaster with Troop 18 in Bend, Oregon since 2001. 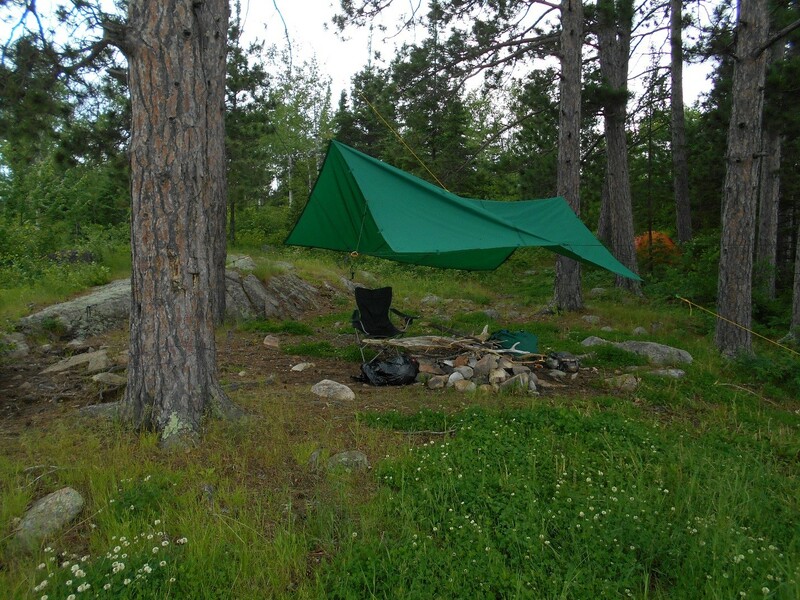 Leon is a merit badge counselor for cooking, camping, wilderness survival and backpacking, along with others. He is also a scoutmaster trainer. 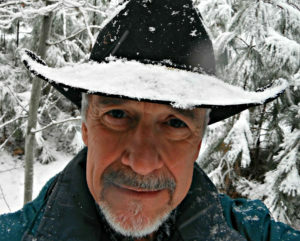 In 2007, he has received a district award of merit for the survival firestarting program he initiated. 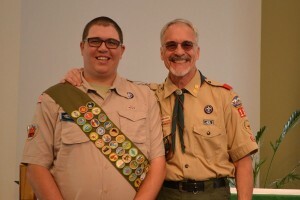 He has been awarded three Eagle Mentor Pins, two 50 Miler patches and has more than 100 nights of camping with scouts. 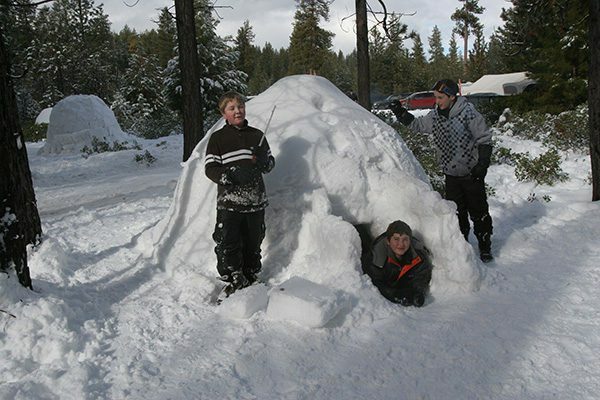 He loves snow camping and has not missed a Freezoree since joining Troop 18. 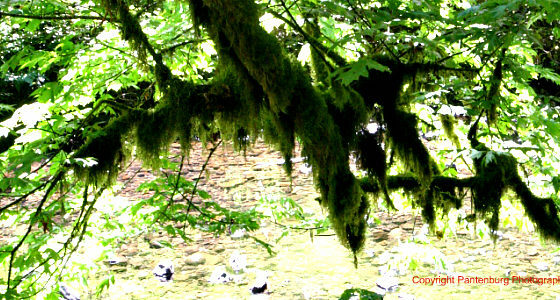 Please clickPlease click here to check out and subscribe to the SurvivalCommonSense.com YouTube channel – thanks! I can’t find anything to verify that story. IMHO, someone in a position of authority, who doesn’t use knives, decided rigid blade knives might be dangerous. My first year of scouting was 1976. Even though, by my second year, I got an Official BSA fixed blade sheath knife for my Birthday, and had my Toten ..card, I could never use the knife for any BSA function with my troop. We were told by the scout master that it is actually because of the hilt and fixed length of the sheath knives. A scout in an earlier time had fallen on his hip backwards and the leverage of the 7 inch long fixed blade knife, hinged on the belt, drove the hilt or pommel into the boy’s kidney. Even though he was rushed to the ER, he died. So it had nothing to do with the sharpness or supposed dagger like danger of the sheath knife but the physics of it and shape when worn on the waist. Where I have seen the most sheath knives in Scouting is at Order Of The Arrow Conclaves, and other Council Lodge gatherings. In some 16 years with Troop 18 in Bend, OR, we’ve never had to revoke a totin’chip. There is not a prohibition of sheath knives in scout regs. But individual camp directors and troop committees take it upon themselves to ban sheath knives. I am not a scouting expert, but in the maritime world, there has long been a prohibition on the carrying of “sheath knives”. However, the regulations were originally written when the term had a very different meaning. It meant a switchblade instead of a fixed blade knife. 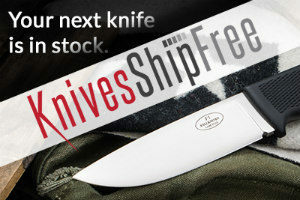 But the language has remained in the regulations, and has turned into a prohibition on fixed-blade knives. It could be that the knife restrictions in scouting come from the same sources. As stated the corner cuts are a custom but not BSA policy. My Troop follows it, and I have torn a couple in half for egregious offenses. Fantastic! Now, the camp directors and scoutmasters just need to get on board! This is not entirely true. A Cub Scout who’s earned his Whittling Chip may carry a pocket knife as a Boy Scout until he’s earned his Totin’ Chip. That’s a privilege to carry and use the pocket knife, a hand axe and saw. In other words, the BSA doesn’t tell troops they must cut corners off for Totin’ Chip violations, but it doesn’t prohibit the practice either. Actually, your video was the inspiration for that post. I’ve been preaching the fixed blade sermon for going on 10 years, and thought I was the only one. The response I’ve gotten has been overwhelmingly positive. I was thinking of doing a video…Maybe, if a few more scoutmasters are more vocal, we can correct this crazy ruling. Love your channel, incidentally. Leon, As a Scoutmaster and father of 2 Eagle Scouts (so far), I completely agree. In fact, I did a video on this subject on my YouTube channel (Survival On Purpose) last year which I believe may have had a small influence on the revised wording in the latest Guide to Safe Scouting. At least the new guidelines seem to echo my sentiment that, of all people, a Boy Scout should be able to properly handle a knife of any size. I applaud your efforts to correct the “no fixed blades” mindset and agree with your choice o the Mora as an excellent Scout knife. Keep up the good work and, as always, Be Prepared.